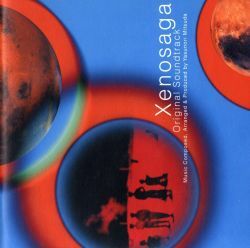 This is the first published version of the Xenosaga soundtrack. It was discontinued per the bankruptcy and closure of DigiCube. However, Yasunori Mitsuda (through his publishing company, Sleigh Bells) has continued to make the music available to purchase via a new album version (SBPS-0004~5) with two bonus tracks.